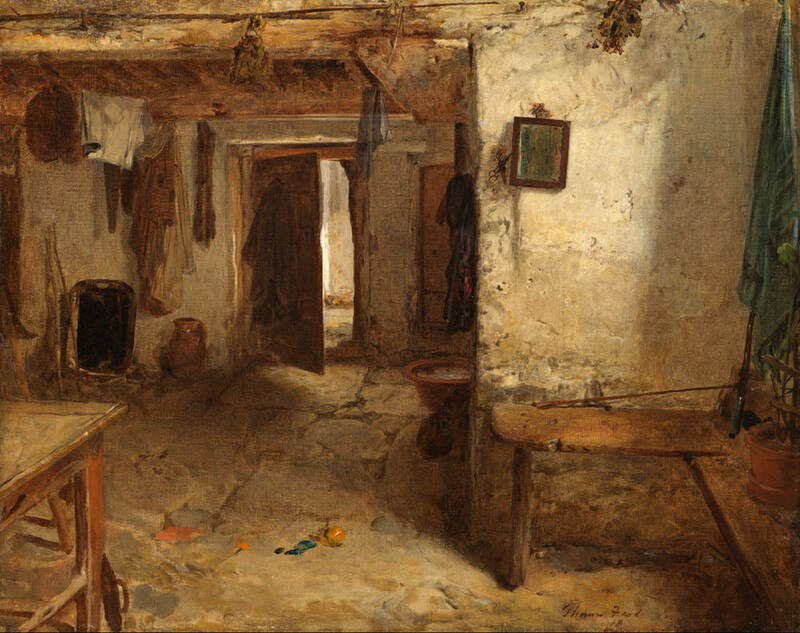 West Highland Cottage Interior by Thomas Faed RA, 1826-1900. 1874. Oil on canvas, 26 x 20 inches. Click on image to enlarge it. According to the Maas Gallery site, “The critic of The Graphic wrote: ‘No one can paint a cottage interior better, or people it with more natural or picturesque figures, elevated by a certain poetry. His pictures are never slovenly or inharmonious, though they do not read the microscopic truth that is so dear to the pre-Raphaelite’ (30 April 1870).